Yesterday, my creative writing group experimented with a prompt derived from Chuck Palahniuk’s essay Nuts and Bolts: “Thought” Verbs. We read the essay out loud (link) followed by a group confession of addictive “thought” verbs. We talked about what we found agreeable or disagreeable in Palahniuk’s essay before working on the prompt individually. The group liked Palahniuk’s advice on thesis statement paragraphs and burying detail in actions or gestures. However, we noted the necessary quality of frontloading in short stories. We did not entirely agree with his argument against leaving characters alone. We agreed that, as readers, we wanted to see a character worry and wonder. We wanted to see the inside of his/her mind. I mentioned Lionel Shriver’s We Need to Talk About Kevin as a novel that shined primarily through its exploration of the main character’s thoughts. Pulling the three sentences from Palahniuk’s homework section of Nuts and Bolts, I asked the group to avoid “thought” verbs and write about the sentence of their choice. We ended up with pieces about Nancy the dumpster diver, Nancy the homewrecker, and Nancy the waitress. Some writers combined all three sentences into one story. In another piece, Larry was right. He was a dead man. After writing, participants noted how they kept having to go back and rewrite sentences, because of their subconscious reliance on “thought” verbs. Occasionally, a writer found that a verb slipped through the cracks. (“Dammit, remember.”) We also mentioned that Palahniuk’s advice was more applicable to the body of prose writing, not dialogue. I can’t say that anyone from the group will keep up Palahniuk’s challenge through December, but for a restrictive prompt, there weren’t any complaints. 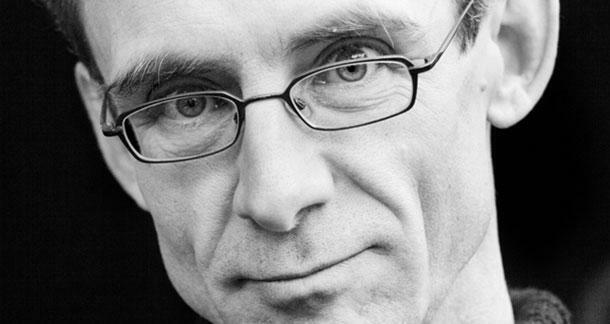 What do you think about Palahniuk’s essay? Do you agree or disagree?